It looks like 2014 is going to be a truly massive year for the Wii U. Next year, we can expect to finally see the reveal of Zelda Wii U. This comes as no surprise, seeing as how Miyamoto himself admitted earlier this past summer that the team actually considered showing off the title at this year’s E3, but decided against it at the last second. 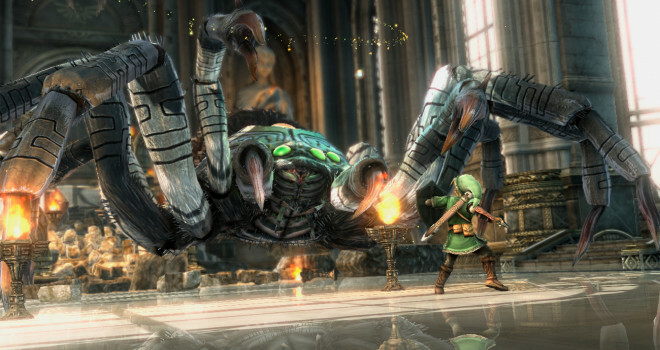 Could we actually see Zelda U releasing in late 2014? Possibly, seeing as how the game has been worked on even before Skyward Sword released and the game was essentially in a show-able form for them to even consider revealing it earlier this year. This could mean that the game is further in-development than we actually think it is. Not to mention that now Windwaker HD is released, the team that worked on that game has now joined up with the Zelda Wii team. If Nintendo can release a Donkey Kong, Mario Kart, Smash Bros., a Monolith RPG, and a Zelda game all in the same year, that could do them an unimaginable world of good. Hopefully we have a TP art style like the tech demo. And linearity like in the original where you could beat dungeons in any order you wanted as long as you got the dungeon item. I’d honestly be completely fine if it wasn’t trying to be ground-breaking to the Zelda series the way Skyward Sword was. Right now, I’d rather have an evolution of Zelda than a revolution.